The Mullis Trophy was first played for in 1931 and is traditionally the final competition of the season. As 35 teams representing 28 Clubs set off to play 18 holes in a fourball better ball stableford format, the weather was bright but breezy with warm spells for most of the day. The course was in super condition despite the hot dry summer we have experienced throughout Essex this year. One of the first scores returned was a fantastic 43 points from Basildon Golf Club’s Dean Geeves & Jason Butler. The first group out off the tenth tee saw the duo make 5 three pointers and a four pointer on the 18thhole to go to the top of the leader board early on. Their Lead lasted the best part of an hour until Brentwood Golf Club’s George Buckley & Eddie Gilbert returned with 44 points, 8 three pointers saw them take the lead with just a few groups left out on the course. cusp of the prizes, falling just one point short from original leaders Basildon, who had seen their lead fall away as the afternoon slowly concluded. As Phil Mickelson pulled his tee shot into the water at Paris National to guarantee Europe the Victory in the Ryder Cup, morale was high in the club house. No more so than for The Warren’s Andy Hanby & Martin Lack, the penultimatepairing out on the course returned an amazing score of 47 points. The pair actually dropped a shot making a one pointer on the 4thhole, this was however their only one. 8 three-point holes and a pair of four pointers on holes 5 and 10 meant the pairs 47 points was more than sufficient to win The Mullis Trophy by 3 points. Congratulations to The Warren’s Andy and Martin, who join the Club’s Norman Plum Team in Victory. A good year for the Warren Golf Club. Our thanks go to Ballards Gore Golf Club for their excellent hospitality, lovely after match meal and beautifully presented course. The Upminster Trophies are played annually at Upminster Golf Club, the Upminster Bowl is for players who are under 25 and the Upminster Trophy is for players that are 25 years old and over. McQueen(Chelmsford) opened with a two under par 67. No one managed a level par 69 in the morning which meant these two were the favourites heading into the afternoon round. The afternoon round looked like it could present some exciting golf and it didn’t disappoint. Callum Hilton made a ten-shot improvement on his morning round by carding a 68 which saw him move well up the final leader board. Joe Tatam (Brentwood) returned with scores of 70+71 for 141 (+3). Alongside him were Teddy Papple (Stockbrook Manor) & George Gennings(Thorndon Park) who both had 72+69 for their 141 (+3). Harry Robson faltered a little in the afternoon dropping 4 shots on the back nine finishing with a 71 leaving him on a total of 139 (+1). Meanwhile, Shay McQueen nearly managed a flawless round, if it wasn’t for his only bogey on the 13thhole. However, the 5 birdies he made, meant he had carded the lowest score of the day, a 4 under par 65. This with his 67 of the morning round, totalled a marvellous 132 (-6). Winning by 7 shots Shay demonstrated that despite the tricky green speeds a great score was still achievable. 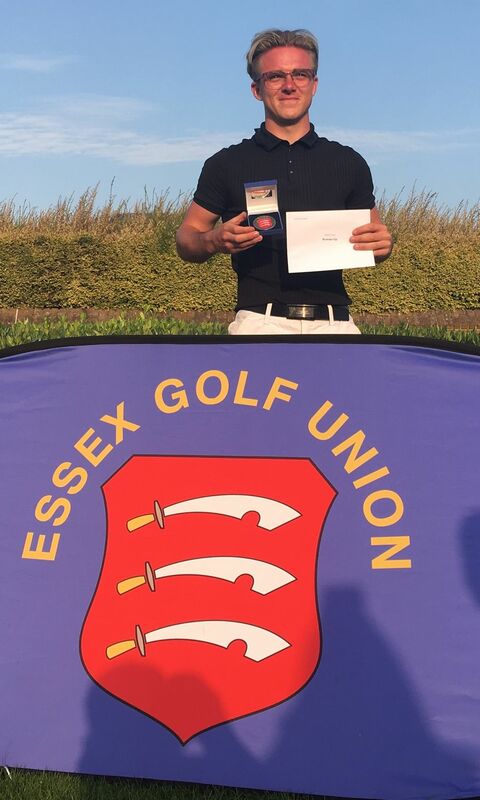 Well Done Shay, some fantastic golf and a long overdue win inan Essex Order of Merit event. In the Upminster Trophy, Ricky Lee (Boyce Hill) was top of the pile with rounds of 70+73 for a 143 finish. Daniel Capps (Thorpe Hall) was just one shot back with rounds of 74+70=144. In third place was Andrew Reynolds (The Essex Golf & Country Club), with rounds of 72+73 for 145 (+7). Our thanks, as always goes to Upminster Golf Club, their members, all of their staff and their Captain Mr Lee Shaw who helped throughout the day with the starting and presentation of the prizes. Thank you to Upminster Golf Club for their hospitality and we look forward to returning next year. A capacity field of 72 players arrived on a bright and fresh September morning at Romford Golf Club to compete for the penultimate Order of Merit event of the calendar, all hoping to win the Romford Trophy, a competition Romford Golf Club have hosted since 1975. The course looked to be in great shape considering the tough climate encountered this season across the county. The day started with little cloud cover but by mid-morning temperatures reached near to the 20s which made playing conditions almost perfect, albeit that there was a stiff breeze that built as the day went on. The morning’s play saw several good scores returned, including 7 players breaking par. These included Defending Champion Arron Edwards-Hill (Chelmsford) with a 68, Back to back County Champion Curtis Knipes (Abridge) with a 69 and Order of Merit leader Jordan Slater (Colchester) with a leader board topping 67 going into lunch. Other names included Will Percival (Orsett) with a 68, Sam Kinnane (The Warren) & Harry Wood (Boyce Hill) both had 69s and Brandon Meads (Chelmsford) with a one under par 70. After lunch, the excitement grew as news got back to the clubhouse that a number of the leaders were matching their mornings play with much of the same. William Percival fell off the pace a bit with an afternoon return of 73 (+2) which left him on -1 for the tournament. A respectable total to be sat on, in the clubhouse waiting to see what unfolds. The performance of the day came from 13-year-old Harley Smith (The Rayleigh Club) whose level par 71 in the morning was improved on in the afternoon by one shot. Harley, playing off of a 4-handicap managed to negotiate Romford in just 141 shots over the day, finishing his tournament on 1 under par and a deserved 5thplace overall. Brandon Meads managed to equal his 70 from the morning round finishing on a -2 total of 140, giving him fourth place on his own. 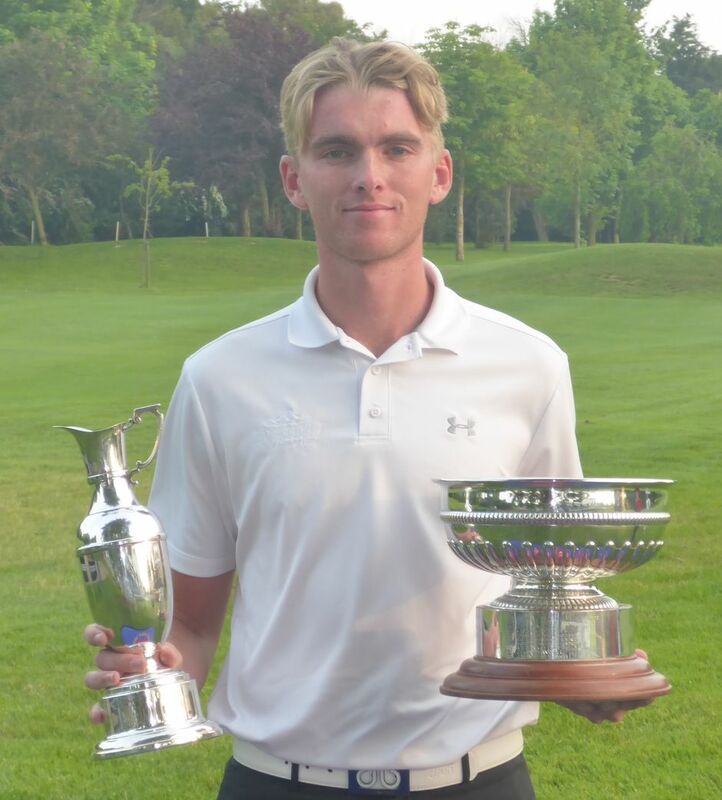 County Champion Curtis Knipes managed to equal his 69 from the morning round which meant he finished on 4 under par for the tournament securing third position. Our defending champion Arron Edwards-Hill was an early starter which meant whatever score he posted, the wait would be a long one. He set a total of 136, two more than that of his winning score last year but still twoclear of Curtis, he asked the question of Jordan Slater. Jordan’s start included back to back birdies and with a further three birdies on his outward nine of 31 he was in a good position. It was then that Jordan struggled to maintain his lead by dropping three in the next four holes falling back to -6 with just 5 holes remaining. His birdie 2 on his 15th hole saw him take the lead once more, but a bogey on his very next hole followed by a couple of pars saw Jordan finish on -6, equalling Arron’s 136. With no playoff at The Romford Trophy Arron had defended his title on countback, a cruel way for Jordan to lose, but a valiant effort, and 2ndplace still ensured him the Order of Merit title for 2018. Congratulations to Arron on defending his title and also congratulations to Jordan on a splendid year showing the consistency necessary to win an order of merit, with one counting event left to play at Upminster on the 15thSeptember, where the Upminster Trophies will be competed for. Harley Smith’s total was more than enough to win the nett prize on the day, beating Jordan Slater & Harry Wood by 3 shots with a nett 133 (-9). Patrick Arundel was presented with a special prize following his wedge from 144 yards on the 6thhole which required no more shots before walking to the 7th, a hole in one is always welcome on anyone’s scorecard. Congratulations to all the winners and our thanks, as always to Romford Golf Club for hosting the event and their exceptional hospitality. We would also like to thank Romford Golf Club Captain John Fuller for his kind words and helping to present the prizes. Once again it was a glorious day at Stockbrook Manor Golf Club, with the course well-presented. The temperature proved to be a test for the field of 51 players, the wind was challenging but also very welcomed at times throughout the day. The Cliffords Estate continued their support of this event this year sponsoring the main prizes, as always we are grateful for your support of the amateur game in Essex. Order of Merit leader Jordan Slater (Colchester) managed to take an early clubhouse lead by returning a one under par round of 71. Ben Wyatt (The Rayleigh Club) then returned a two under par 70, which was a nice way to set up his afternoon round in potentially his final tournament as an amateur. Zachary Chegwidden (Orsett) also made a hot start carding a three under par 69 to lead for moments until his playing partner Jack Dyer (Rochford Hundred) went one better finishing with a 68 (-4). Their third group member was Ben Humphrey (Chelmsford) who managed a very respectable level par 72. The course was certainly playing tough in parts, but the scores also suggested a good score could be achieved if you had the strategy and were able to execute it as intended. Joshua Cardy (The Warren) had plotted his way round beautifully, starting on the 10thtee he was standing on his last hole (9th) 6 under par and needing one more birdie for a course record 65. However, a couple of careless shots and a 73 is all Joshua could manage after a disappointing 12 to close his round. This was typical of many scores that were returned on the day due to some holes being very accessible whilst others played havoc with some players scorecards. Two holes in one were also made, one in the morning by Bill Wreathall (Chelmsford) on the 4th hole, who admitted himself that it wasn’t his best shot, but it got the job done. It is said that there are no pictures on a score card! Alan Angel (West Essex) also made a hole in one on the 17th hole, a nearly 200-yard hole that is a very good test to anyone. Congratulations to Bill and Alan. The afternoon saw a slight improvement on the scoring, with a total of seven players breaking par. Shay McQueen’s (Chelmsford) 70 and Will Percival’s (Orsett) 69 saw them both rally up the leaderboard to finish a respectable tied 7thon 145 (+1). Zachary Chegwidden could only manage a two over par 74 to finish tied fourth with Order of Merit leader Jordan Slater (Colchester) & Ben Humphrey (Chelmsford) all on 143 (-1). Ben Wyatt (The Rayleigh Club) nearly matched his morning round with a one under par 71 to finish on 141 (-3) taking 3rdplace on his own. 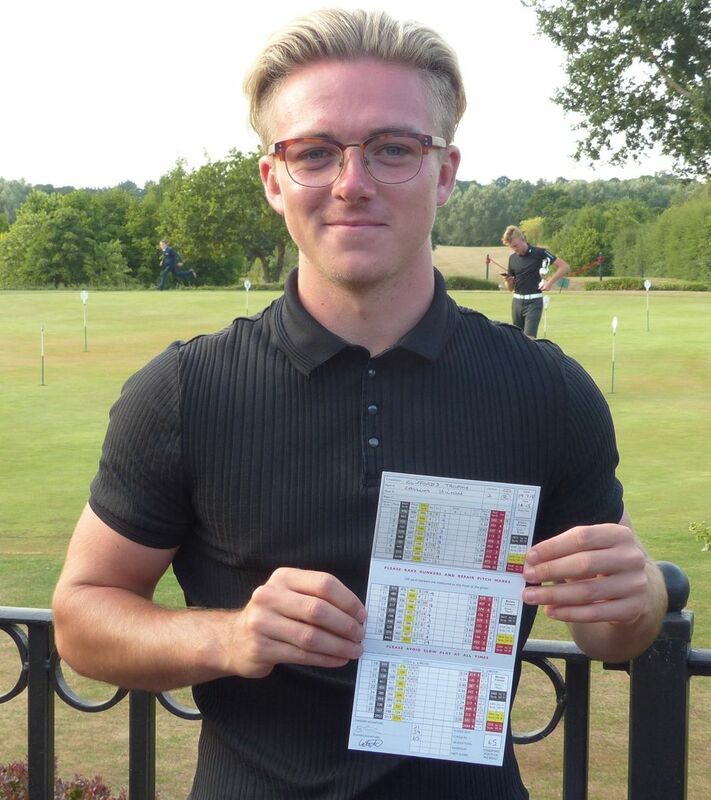 The low round of the day and a new course record for an amateur at Stockbrook Manor was Callum Hilton (The Warren). Callum managed to negotiate his way round in just 65 shots, 7 under par, finishing runner up on a five under par total of 139. Congratulations Callum on a wonderful return to golf after a lengthy period out with injury. So the stage was set for the final group and our morning leader Jack Dyer. Jack returned with a score one better than he managed in the morning round, finishing with a 67 to back up his 68, leaving him on a sensational two round total of 135 (-9), winning by five shots. A fantastic tournament with some formidable golf. presenting the course in such fine condition as well as making everyone feel very welcome throughout the day. We would also like to thank Richard Higgins, Stockbrook Manor Club Captain for presenting the players with their prizes. The Seniors Championship was hosted by Bentley Golf Club this year where the recent improvements to the clubhouse made a great welcome to the 64 seniors that were due to compete over the two days. The course was in fantastic condition with greens and fairways running fast due to the heat wave and lack of rain over the past few weeks. The temperature peaked just shy of 30 degrees Celsius on the Thursday which resulted in some tough conditions, especially as there was little wind to help cool the competitors. The scores on day 1 proved that the conditions were tough as few players managed to post anything around par. The CSS for the day rose to 74 from the SSS of 72. Steve Rooney (Orsett), looking to win his third title in as many years got off to a slow start only managing to post a 9 over par round of 81, the same as Bentley’s very own John Moody. Tony Wheals (Orsett) carded a 77, whilst Basildon’s John Wright and Ilford’s Michael Pinner both returned with 75s which looked like it was good enough to go into day 2 leading. Then Ian Moore’s (Maylands) 73 which consisted of 13 pars, 3 bogeys and 2 birdies took the limelight and the top of the leader board going into the second round which was to follow on the Friday. On day two, the competition standard scratch was one higher than day one, confirming conditions were not any easier for the field. Steve Rooney improved on his attempt to defend the title but a poor finish to his round meant he could only manage a total of 160 (+16) and 6th place overall. John Moody managed one better returning a score of 78 on the Friday finishing on 159 for 5th place. John Wright slipped down the leader board with a closing 82 leaving him on 157 (+13) for 4th place overall. In third place was Tony Wheals with a pair of 77s making 154 in total., Michael Pinner’s 75 & Friday’s 76 resulted in him guaranteeing second place as leader in the clubhouse with only Ian Moore left in contention. Ian’s finish of 2 under par from his last ten holes was more than enough to secure the Championship. A fine display of golf over the two days finishing with a 146 total, 5 shots clear of second place, Michael Pinner. In the handicap categories, the over 55’s winner was Richard Higgins (Stockbrook Manor) with a nett 145, followed by John Moody (Bentley) on 149, third was Terry Knight (Orsett) on 151. The over 60’s winner was James Henderson (Benton Hall) with a nett 149, from Fred Selfe (Belhus Park) on 157. Third was Stephen Rowe (Epping) on 157. For the over 65’s Kieran Leahy (Hainault Forest) took the honours with a two round nett total of 155, closely followed by Edward Keeble (The Rayleigh Club) on 158. For the Over 70’s, John Wisbey (Hainault Forest) won his category with a nett 155. Maurice Atkin (Three Rivers) following him home on 155 for 2nd spot. Our thanks to Bentley Golf Club and Secretary Mark Gallop along with his team for their strenuous efforts in preparing the course clubhouse and catering arrangements to help ensure the championship was run in a smooth and successful manner. We also would like to thank the Captain, Barry Winch-Furness for attending and presenting the prizes to the winners and also the members of Bentley Golf Club, for giving up their course for the duration of the event. 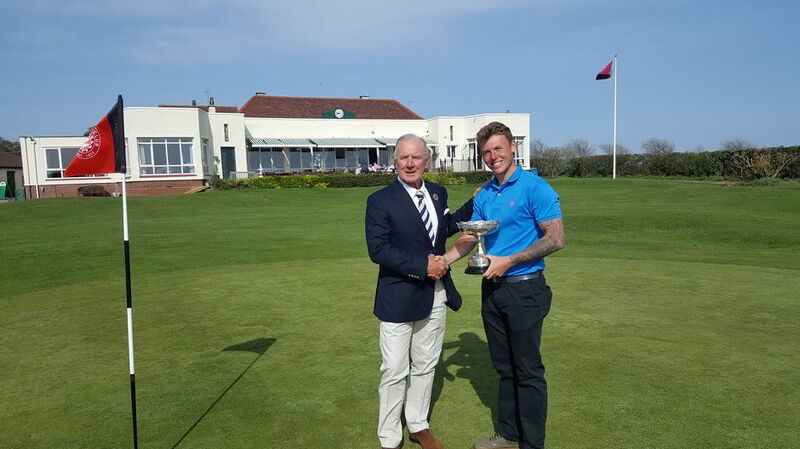 The Herbert Bishop Vase was presented by WH Bishop of Mersea Island Golf Club in 1939 to be competed for by the Captains and Secretaries of the affiliated clubs and the members of the County Executive Committee. In recent years, we have allowed other club officials to play if the Captain or Secretary/Manager is not available. This year was attended by a field of 40 teams, 39 clubs were represented and Colne Valley hosted a magnificent day. The format was fourball betterball stableford with the 90% of handicap rule being applied. The weather was kind with bright sunshine throughout the day with occasional gusts making playing conditions tricky. returned scores of 36 points or better. Garon Park’s Graham Purser & Bryan Bone were the first team to return a potential winning score of 39 points with both players failing to score on the first hole. 39 points was a very respectable score regardless and was sufficient to take fourth place away from Burnham on Crouch’s Graham Bowers and Mick Clark who also managed to score 39 points but lost to Garon Park on Countback. their respective nearest the hole competitions so a good day all in all for the Basildon Duo. 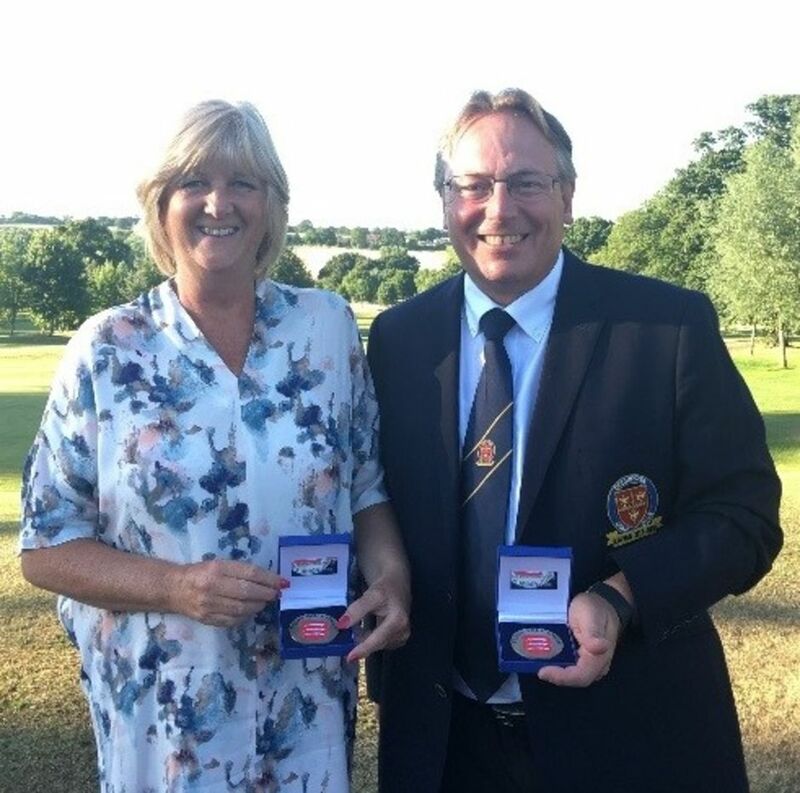 Also on 40 points were Colchester’s Michael Withers & Julie Ruscoe, but their 21 point back nine ensured they came second overall on countback. Braintree Golf Club’s Craig Greason & John O’Connor managed a huge 43 points which included nine 3 point holes, winning the day by a margin of three points in total. ​John’s speech was complimentary of the course and thehospitality on display from Colne Valley and he thanked his playing partners and the Essex Golf Union for such an enjoyable & successful day. Congratulations to all our winners and a huge thank you to Colne Valley Golf Club who were fabulous hosts as always, on and off the course. The 2018 competition was hosted by Woolston Manor Golf Club. The weather was warm due to a humid climate with the occasional burst of bright sunshine. At times a cooling breeze was looking to play havoc on some exposed parts of the course which was in good condition with firm greens. A few late withdrawals reduced the field to 55 players teeing off in the competition. There are two trophies presented at this over 55’s event, the Veterans Trophy is for the overall winner, and the second piece of silverware is for the best score returned by a player who is over 70 years of age, the Over 70’s Salver. The scoring was tough due to the gusty winds and general conditions as the field played from the white tees which were said to make the course play its full length despite the hard ground conditions. 35 points returned by Alan Cable (Basildon) & Keith Avery (Three Rivers) led the way for a while until Graham Hammond (Basildon) carded a steady 36 points. Then Kevin Walker (Romford) returned with 37 points which stole the limelight for a short period until Ian Hall (Brentwood) managed to top the leader board with a great score of 38 points playing off of an 18 handicap. This was the best score on a day that saw the CSS rise to 74 from an SSS of 71, proving it was a tough day for scoring for the competitors. The Over 70’s Salver was won by a past winner of the Veterans Trophy, Martin Cooper (Chelmsford) with 29 points. 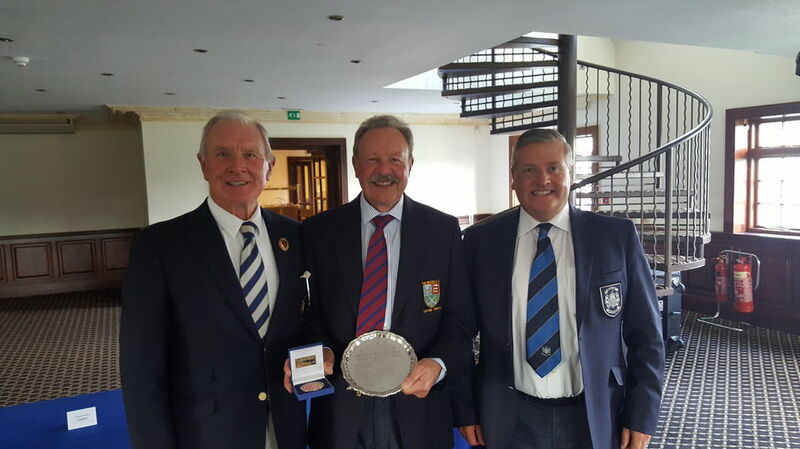 Martin, having won the Veterans Trophy in 2008 was delighted to win the Over 70’s Salver ten years later in his year of Club Captaincy. EGU President Elect, Brian Collins. Our thanks to Woolston Manor Golf Club for their excellent hospitality and well-prepared course, and to their Men’s Captain Andrew Haywood-Dunn, who presented all the prizes following the evening meal along with our President Elect, Brian Collins. This year the competition took place at Upminster Golf Club. The first day’s play brought some great golf as well as fantastic weather. A strong field of 78 players with the highest handicapper in the field at just 4.5. Despite the weather and the strength of the field, the scores suggested the course was not playing as easy as first suspected. This was attributable to the speed of the greens, they were running smoothly at 11 on the stimp-meter. The strategically positioned pin locations made it essential to plan your approach shots, with the better scorers on the day leaving their ball on the low side of the hole. One player that didn’t appear to have any difficulty navigating his way round the course was defending champion Curtis Knipes (Abridge) who managed 7 birdies and just one dropped shot for a new amateur course record of 63. Curtis, who missed a few other birdie opportunities on his way to completing his opening round finished 4 shots clear of the field, with Jack Dyer (Rochford Hundred) who managed a very good 2 under par 67, and Callum Pipe (Braintree) & Joe Tatam (Brentwood) who both had one under par 68s leading the chasing pack. The players headed out for the afternoon rounds all competing to be placed in the top 42 by the end of the day to qualify for the final day on the Sunday. Curtis Knipes’ lead fell to a margin of just one shot after Harry Butler managed a 2 under par round of 67 whilst the best Curtis could manage was a 3 over par 72. Joe Tatam’s afternoon round of 71 saw him remain towards the top of the leaderboard, and Callum Pipe was tied in 3rd position with Jack Dyer on a total of 137, just two shots off the lead. The top 42 and ties qualified for the Sunday, but early morning phone calls informing the Essex Golf Union of injuries and withdrawals meant a few of the field were missing, including one of the leading contenders, Jack Dyer, who had been hit with a bout of food poisoning overnight. With the pin positions in slightly more accessible locations on the Sunday it was expected that it would be a low day for scoring. Only four of the field managed to break par in the morning, Ben Tobin (Basildon) and Oscar Yeomans (Chelmsford) with the low score of the day, a 4 under par 65, and two of the final group, 2nd place Harry Butler and leader Curtis Knipes. This meant that Curtis now held a 2-shot cushion going into the final round over Harry Butler, closely followed by Callum Pipe. The competition heated up as a number of players felt they could close in on Curtis in the afternoon. Arron Edwards-Hill being one of them, a round of 68, 1 under par saw Arron climb to tied 3rd by the end of the tournament. This tied with Callum Pipe who returned a 71, 2 over par, his highest round of the competition. So, the stage was set for the battle between Curtis and Harry as they approached the 72nd hole. The difference was still just two shots, Curtis on -5 and Harry on -3 for the Championship. 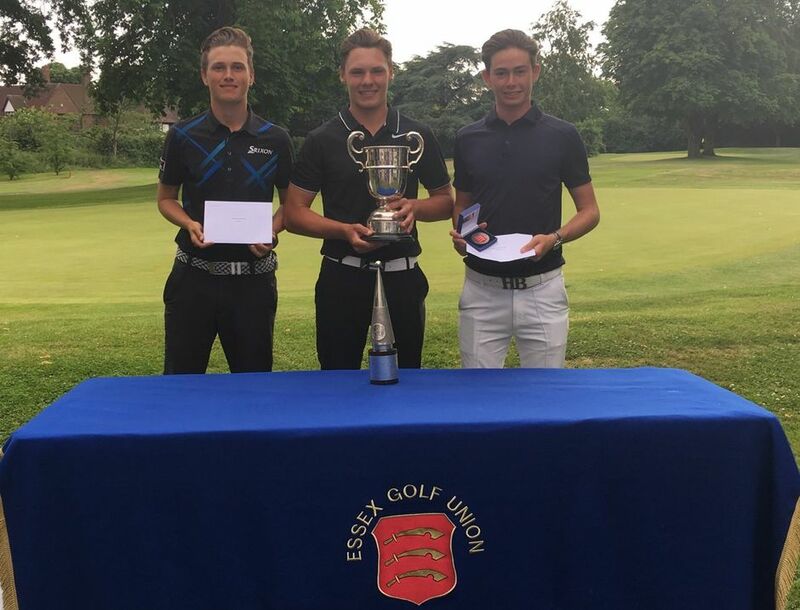 Harry, in attempting to attack the pin bunkered his tee shot, so could only manage to bogey the par 3, leaving the stage for Curtis to make a regulation par to become Essex Champion golfer again. A large gallery had surrounded the 18th to watch Curtis hole the putt to successfully defend his title. 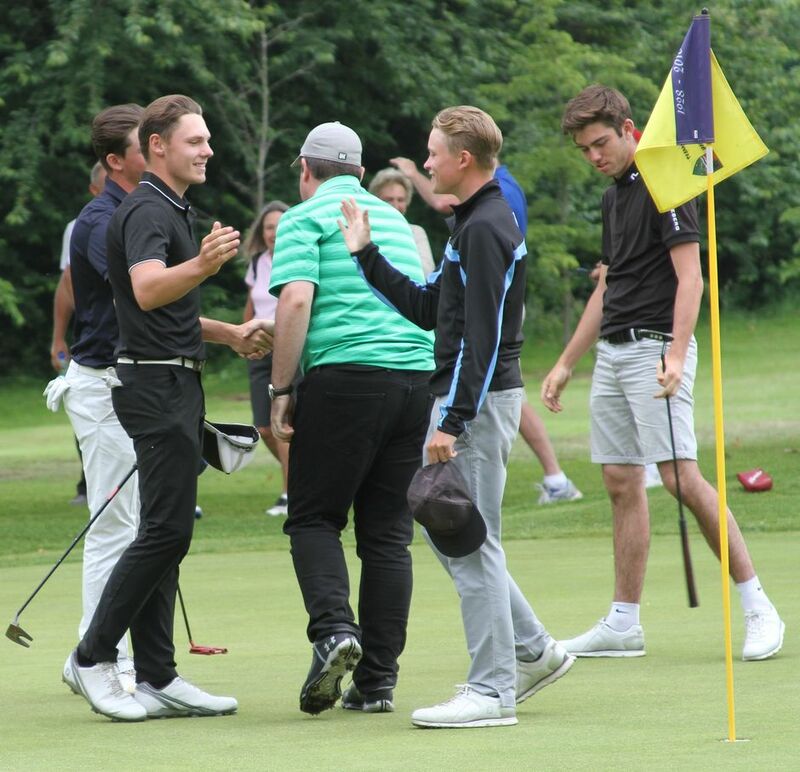 After Curtis holed out there were some warm embraces between the three-ball of Callum, Harry and Curtis which showed the spirit in which the tournament was played. The applause continued as the trio walked from the 18th green to record their scores. Another solid performance over the weekend from Jordan Slater saw him record another top ten finish, which has propelled him up to the top of the 2018 Order of Merit standings as the players head for the next Order of Merit event, The Cliffords Trophy, at Stock Brook Manor in July. Upminster Golf Club were excellent hosts of this year’s championship with fantastic food and impeccable greens, reports from the players suggested they were very impressed with the condition of the course and many said they were looking forward to returning in September to play in the Upminster Trophies. Our thanks go to Upminster Golf Club and their members, staff and volunteers that made the day such a success. We also congratulate Curtis on a fantastic victory. The Thorpe Hall Golf Course was in exceptional condition and was a much talked about topic throughout the day, as players were impressed with the fast running greens, with the rough left relatively long to punish any wayward shot. The morning’s play was impressive with six of the field breaking par. Three players were tied on rounds of 69, -2. Jack Dyer (Rochford Hundred), Joshua Cardy (The Warren) & Harry Robson (Orsett) all enjoyed a one-shot lead over lunch. 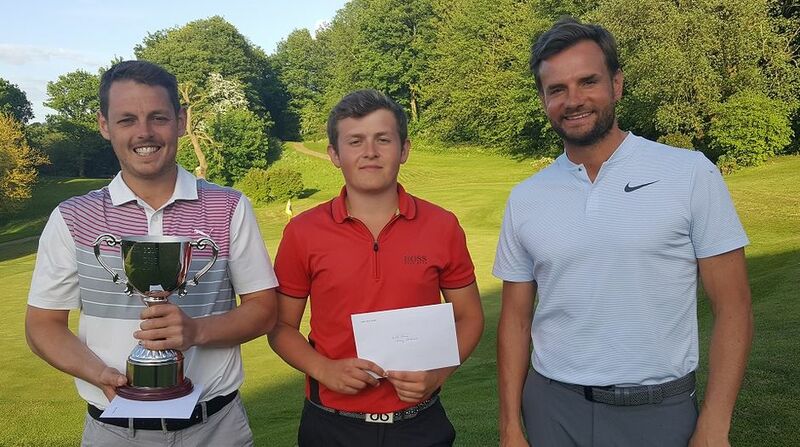 The three players that had posted scores of 70, -1, were Estuary Trophy Winner Jay Beisser (Basildon), Keating Trophy Winner (Jordan Slater) & Luke King (Thorpe Hall), making a great start by shooting 6 under his handicap. 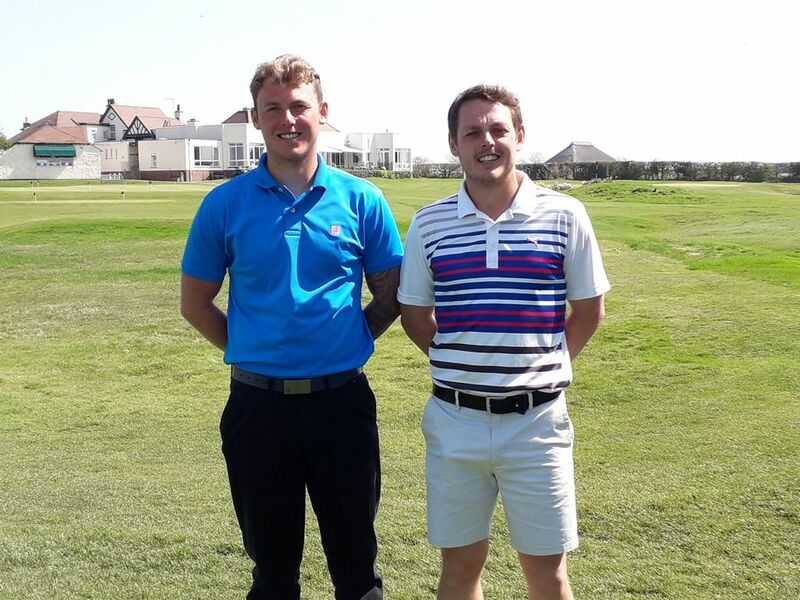 The Colts Championship for Under 21’s is run in conjunction with The Sir Michael Bonallack and this year the halfway lead was held by two of the three on morning rounds of 69, Harry Robson and Jack Dyer. In the afternoon, Luke King struggled to match his morning form but still carded a respectable 78 for a 148 finish, well done Luke, great effort. Jay Beisser matched his morning round by managing another round of 70, -1, finishing on 140 (-2) for the championship. Joshua Cardy also had a 70, making a total of 139. Thanks to his 69 in the morning round the 3 under par total was sufficient to ensure 3rd place on his own. Jordan Slater only managed 1 birdie in the afternoon, however a pair of eagles on the back nine meant he finished on an improved round of 68 and lowest round of the day. I’m sure he will be disappointed with two blemishes on his card which meant he would miss out on the trophy this year but a valiant effort all the same. 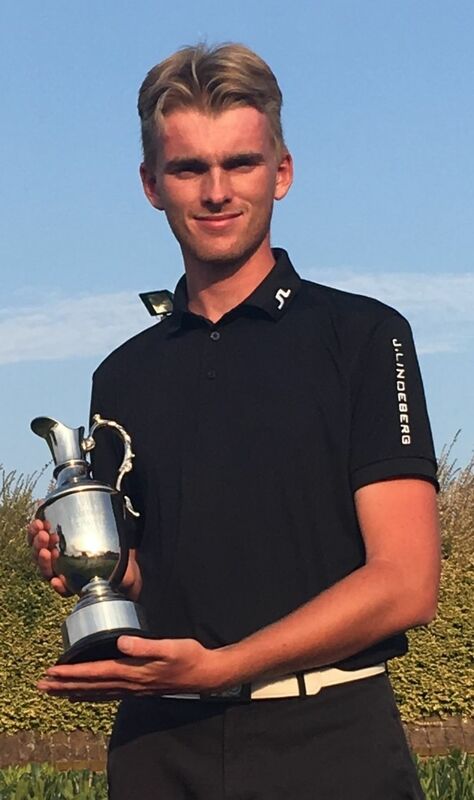 So, the stage was clear for Jack Dyer, recently returned from college in Florida, Jack managed a 68, 3 under par round to win the Sir Michael Bonallack Trophy by one shot from Jordan Slater. Not only that, Jack also picked up the Colts Championship Trophy over his nearest competitor in the field Harry Robson on 144 (+2). In his winner’s speech Jack showed his maturity and class when referring to Will Turner, a keen junior golfer and former Cadet Captain at Thorpe Hall Golf Club who was also involved with the Junior county teams. Will was a great character who sadly died in a car accident in 2015. Jack made reference to ‘everyone being lucky to be there, playing golf, on such a lovely day, on such a lovely course, not everyone still has that privilege.’ He received a warm round of applause and afterwards after congratulating him on not only a fine day’s golf, but also a very fitting speech, he replied, ‘He has been on my mind all day, I had to say something’. Congratulations Jack on a fine performance in every way! Thank you to Thorpe Hall Golf Club, their staff and the members for giving up their course for the day, and for their impeccable hospitality. The Inaugural playing of the Estuary Trophy competition took place in early May, 36 holes at Orsett on 4thMay followed by 36 holes at Boyce Hill on 10thMay. 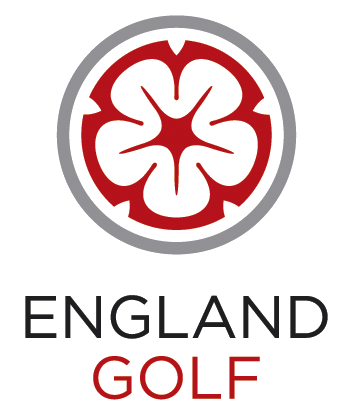 This 72 hole event is a Men’s World Amateur Golf Ranking event, one of only three events in Essex which hold that status. The first 36 holes at Orsett were played in conjunction with the Threadgill Trophy, and the high standard of golf was set in the morning round with six players breaking par. The most notable being former County Captain, Jay Beisser (Basildon), who shot a remarkable 7 under par 65. His closest challenger was Shay McQueen (Chelmsford) with a three under par 69. In the afternoon the high standard was maintained with Jamie Richards (Abridge) recording the best return, a five under par 67. At the halfway point Jay Beisser was leading with a 135 total, followed by Shay McQueen on 142 and then Ben Humphrey (Chelmsford), Keating Trophy winner Jordan Slater (Harwich & Dovercourt), and Jamie Richards all on a one under par total of 143. The competition then moved on to Boyce Hill, where the second two rounds were played along side the Boyce Hill challenge Bowl. Our halfway leader struggled to a 75 in the morning round, leaving the door open for the rest of the field to close the gap. Shay McQueen produced another steady round with a 69 to close in one shot behind Jay, with Jamie Richards and Jordan Slater also gaining ground with scores of 70. The best score in the third round was recorded by Jack Brown (Chelmsford) with a 66, closely followed by Ricky Lee (Boyce Hill) with a 67. In the final round Shay McQueen recorded his third round of 69 in the competition to set the target of 280. He was not in the Clubhouse long before being joined on 280 by Jamie Richards who returned the best final round score of 67. In the final group to finish Jay Beisser carded a score of 70 to also finish on 280. A three way play-off would be required to establish the first name to go on the Estuary Trophy. ​So the three players headed to the 18thtee, a 160 yard par 3, with a large gathering of onlookers waiting around the green and Clubhouse area creating a great atmosphere. All three players hit the green, but with a difficult pin position no-one could feel a safe two putt was in hand. The tension increased as all three players faced lengthy putts for their 3, Shay and Jay holed their attempts, but unfortunately Jamie wasunable to follow them in and so dropped out of the play-off. Having returned to the 18thtee Shay hit his tee shot to within 10 feet of the hole, with Jay’s reply finishing 3 foot from the pin. 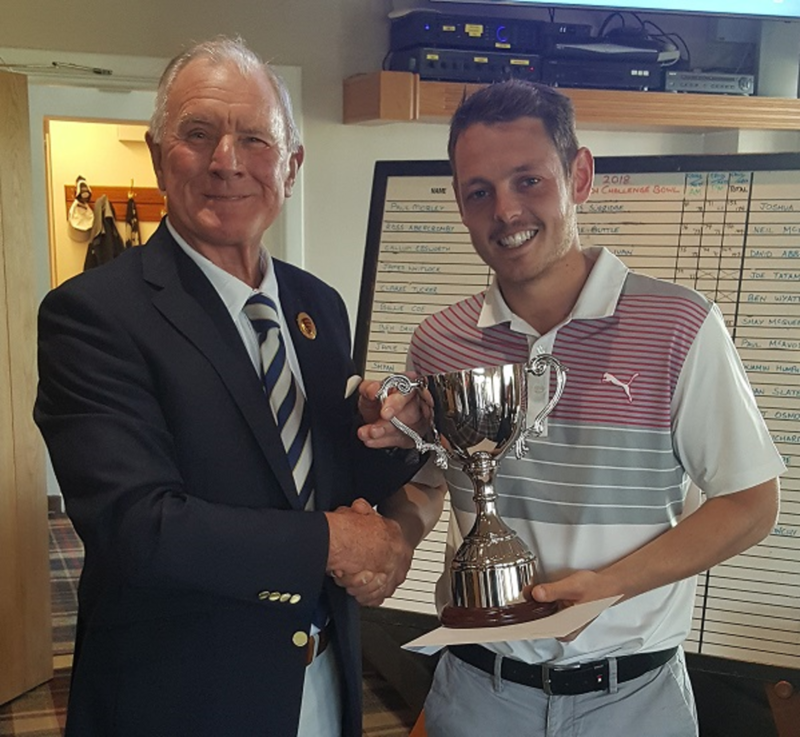 Our thanks to both Orsett GC and Boyce Hill GC for the joint hosting of this event, and to Jay Beisser our first winner of the Trophy. 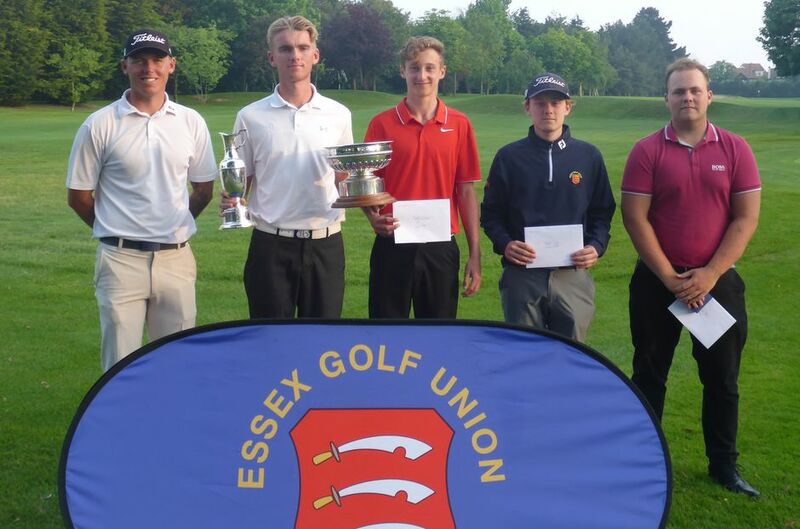 The Essex Golf Union’s first Championship of the season saw 78 competitors play 36 holes of golf over a very challenging and well-presented Frinton Golf Course, despite the wet weather of recent weeks. Only 16 places were on offer for the Matchplay Finals that took place on the 21st& 22ndApril also hosted by Frinton. The 78 competitors were fortunate to find Frinton in an unusually calm state for the Qualifying stage of the competition. The flag sticks remained relatively still for most of the day, with the wind lifting a little in the afternoon which made for some tricky club choices after the morning’s play. The morning of qualifying saw 6 players break par, Barry Medcalf (The Rayleigh Club) was lowest and led at the half way stage with a three under par 68. Just one back on 69 were William Percival (Orsett), Joe Tatam (Brentwood) and last year’s winner, Jay Beisser (Basildon). On one under par 70 at lunch were Ricky Lee (Boyce Hill) & Brandon Meads (Chelmsford). The afternoon was reported to be slightly tougher as the wind showed signs of increasing but certainly not to Frinton’s usual standards. Despite the stiff breeze, there were another six scores under par. The three players that made back to back par breaking rounds finished 1st2nd and 3rdoverall respectively, Jay Beisser, Ricky Lee & Joe Tatam. A great display of golf so early in the season. The top 16 places were filled with players 3 over par or better for the 36 holes. Nick Tedder-Ward (Clacton) managed a 70 (-1) in the afternoon to finish 8thoverall on 144 (+2). Also breaking par in the afternoon was Jordan Slater (Harwich & Dovercourt), Jordan was 4 over in the morning but managed to shoot a 70 (-1) in the afternoon to grab the 11thspot in the finals. On the weekend of 21stand 22ndApril the qualifiers were set to take part in the knockout phase of the competition, with the feeling that Summer had come at last after a long cold and wet few weeks. Following the mornings play the Quarter finals again had displays of top quality golf. Michael Gilbert (Chelmsford) had a great 5 & 3 victory over Ricky Lee, and Jordan Slater beat Joe Tatam 3 & 2 in the top half of the draw. Then William Percival managed a 1 Up victory over Callum Pipe (Braintree) in a close match, which left Jay Beisser’s 4 & 3 victory over Nick Tedder-Ward to conclude the semi-final line up. In the Sunday morning semi-finals Jordan Slater managed a win over Michael Gilbert 2 & 1 to book his place in the final. Meanwhile Jay Beisser was several under par when he closed out his match against William Percival 6 & 4. The two finalists took to the first tee on the Sunday afternoon both with a great chance to win the title, Jay attempting to defend the Keating Trophy and Jordan trying to win his first. Jordan made a good start and went 2 Up through 3 holes. Jay won the 6thwith a par but Jordan immediately hit back with a birdie at the 7th. Jay birdied the 9thto get it back to just 1 hole at the turn and then also won the 11thto take the match back to all square with just 7 holes left to play. A trio of threes from Jordan through holes 12, 13 and 14 saw Jordan gain a two-up lead, as Jay failed to hole his birdie attempts at each hole. Jordan then closed out the match with a birdie on the 17thto win 3 & 1. Jordan looked thrilled to win The Keating Trophy, congratulations Jordan on a fantastic performance and well done Jay, having made a valiant attempt to defend the title he won last year. Our thanks go to Frinton Golf Club for hosting a fantastic championship at a time when a lot of courses would have struggled to allow play to take place on the first weekend. Well done to your green keeping staff for making the course available and presenting the course in such a great way. We next head to Thorpe Hall Golf Club on the 25thMay for the Sir Michael Bonallack Trophy and Colts Championship.